When the Soviet Union collapsed, a 200 billion-dollar legacy was left buried in its ruins. The key to uncovering it lies in the hands of Nadenka, a young girl who possesses a mysterious Khristos ring. 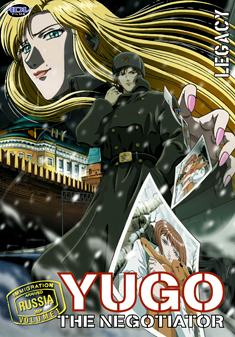 When Yugo is hired to bring her to Japan, he finds himself trapped in the midst of a deadly web of greed and treachery. Traveling to the frigid land of Siberia, Yugo is left out in the cold in more ways than one, as he discovers that his contractor has a sinister ulterior motive for hiring him. Contains episodes 1-4 ('Russia') of the anime series.